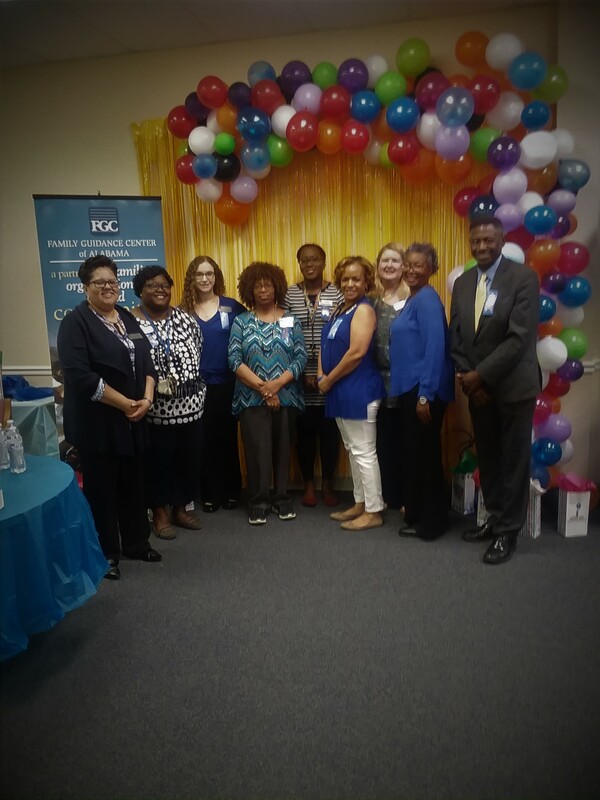 The Family Service Center of Jefferson County hosted the 9th Annual Child Abuse Prevention Information Session and Balloon Release on Tuesday April 10th at 1 pm. We had over 50 participants from the community, community partners, and funders including DHR and Children’s Trust Fund. Ms.Marquita Smiley, Q.A. Coordinator from Jefferson County DHR, served as the Guest Speaker and Ms.Teresa Costanzo, Field Director from CTF, facilitated the movie Resilience. Ms. Smiley presented information on child abuse definitions, how to report abuse, and mandated reporting. Ms. Costanzo showed the movie Resilience and then hosted audience participation and dialogue about how to work together as a community to prevent child abuse. All attendees concluded the event by a balloon release to bring awareness to child abuse prevention.